Director Order, a documentary about vaccine injury, can be watched here on youtube for free. 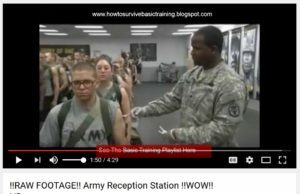 List of posts regarding military vaccine injuries here. Stories of vaccine injury in the military here. Medic discusses how she was administering vaccines and treating soldiers with Gulf War Syndrome. Someone came in from Washington DC to tell her that one soldier’s condition was unrelated and to not talk about it. She discusses how the shots were given acronyms for shots in the records and they were not allowed to ask about allergies to vaccines.